A pair of Expedition 57 astronauts spent the day exploring how humans think and work while living long-term in space. 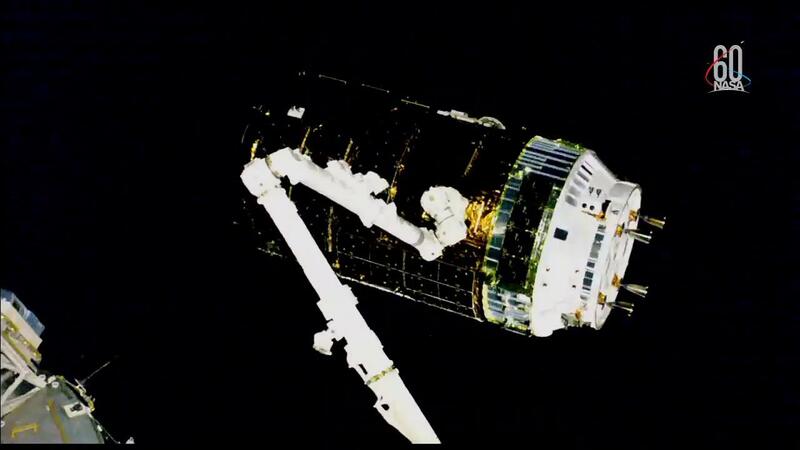 A cosmonaut also tested a pair of tiny, free-floating satellites operating inside the International Space Station. NASA astronaut Serena Auñón-Chancellor is helping doctors on the ground understand if an astronaut’s brain structure and mental abilities change in space. She took part in a behavioral assessment test today that involves the mental imaging of rotating objects, target accuracy during motion or stillness and concentrating on two tasks at the same time. 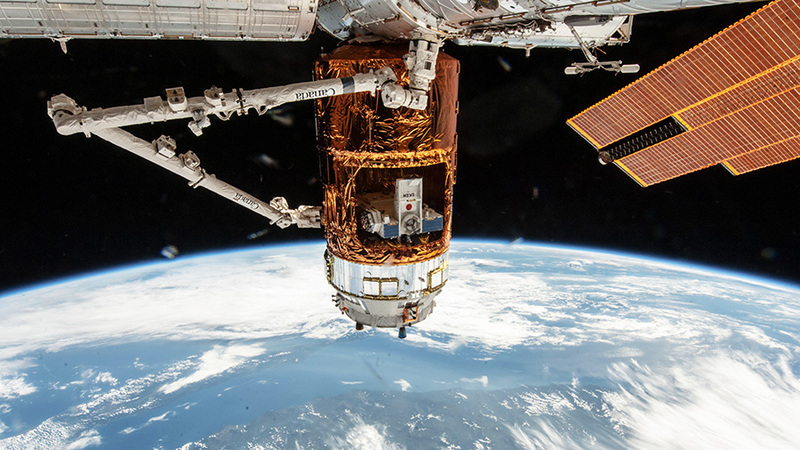 The NeuroMapping experiment, which has been ongoing since 2014, is exploring an astronaut’s neuro-cognitive abilities before, during and after a spaceflight. Scientists are also learning how an astronaut’s nervous system may be impacted by different gravitational environments such as the moon, asteroids or planets. 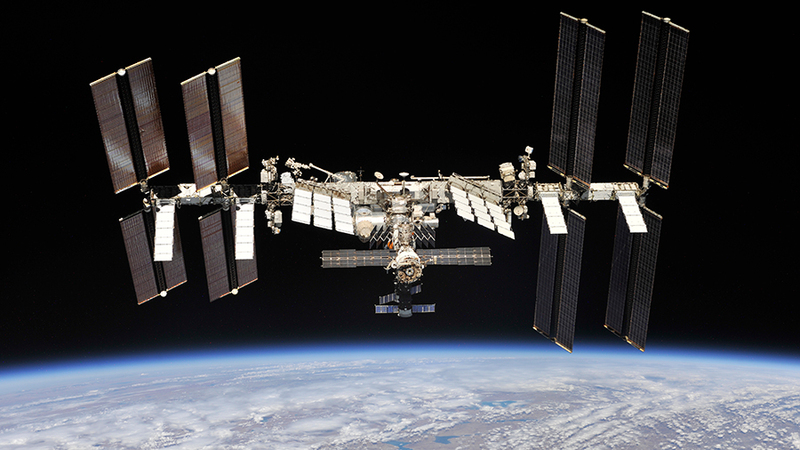 The GRIP study from ESA (European Space Agency) is exploring how space residents interact with objects by monitoring their grip and load forces. Commander Alexander Gerst from Germany strapped himself into a specialized seat in the Columbus lab module for the GRIP study today. He performed several motions in the seat while gripping a device collecting data measuring cognition, grip force and movement kinematics. Cosmonaut Sergey Prokopyev set up the bowling ball-sized SPHERES satellites for a test run inside Japan’s Kibo lab module. The SPHERES (Synchronized Position Hold, Engage, Reorient, Experimental Satellites) are used for a variety of experiments including autonomous formation-flying, shipping liquids such as fuels and introducing students to spacecraft navigation techniques. Deorbit burn is scheduled for approximately 6:51 a.m., with landing in Kazakhstan targeted for 7:45 a.m. (5:45 p.m. Kazakhstan time). NASA TV coverage will resume at 6:30 a.m. for deorbit burn and landing coverage. 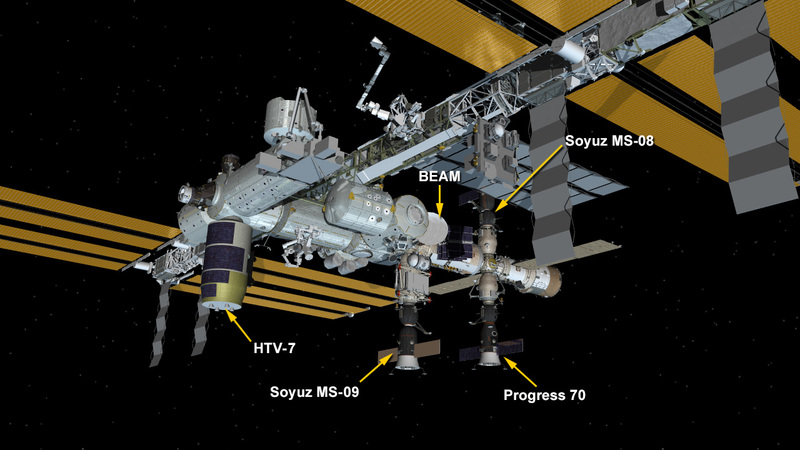 At the time of undocking, Expedition 57 will begin formally aboard the station, with Commander Alexander Gerst of ESA (European Space Agency), NASA’s Serena Aunon-Chancellor and Roscosmos cosmonaut Sergey Prokopyev comprising a three-person crew for one week. Expedition 55-56 crew members Ricky Arnold, Oleg Artemyev and Drew Feustel pose for a picture March 5, 2018 in front of their Soyuz spacecraft that launched them to space March 21, 2018. Their landing in Kazakhstan is targeted for approximately 7:45 a.m. (5:45 p.m. Kazakhstan time) and will conclude a 197-day mission spanning 3,152 orbits of Earth and a journey of 83.4 million miles. 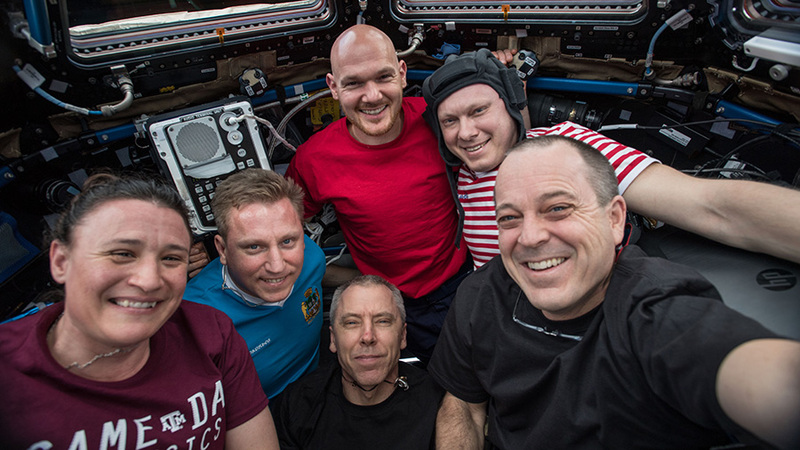 The six-member Expedition 56 crew gathers together for a team portrait. In the front row, from left, are NASA astronauts Serena Auñon-Chancellor, Commander Drew Fuestel and Ricky Arnold. Behind them, from left, are Roscosmos cosmonauts Sergey Prokopyev and Oleg Artemyev. 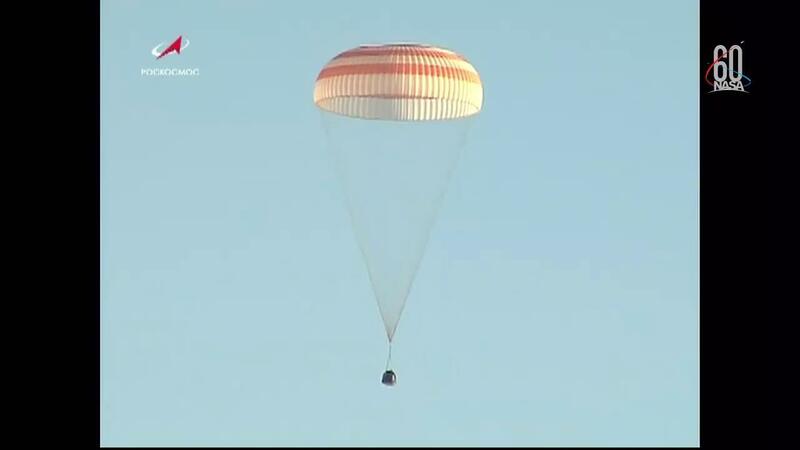 At the top of the group is astronaut Alexander Gerst of ESA (European Space Agency). Feustel is returning to Earth Thursday at 7:45 a.m. EDT with fellow crew members Ricky Arnold and Oleg Artemyev ending a 197-day stay in space. 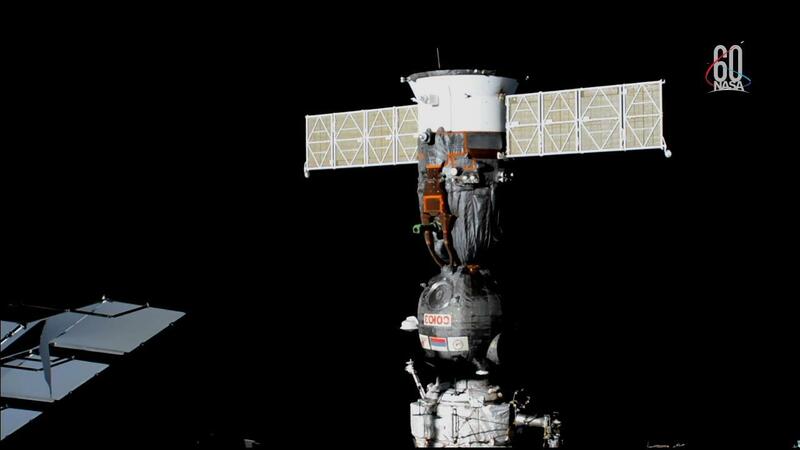 The trio will undock Thursday at 3:57 a.m. in their Soyuz MS-08 crew ship leaving behind German astronaut Gerst to begin his command with Expedition 57 Flight Engineers Serena Auñón-Chancellor and Sergey Prokopyev. This is Gerst’s second stay aboard the space station and his first command. He is the second European to command the outpost after Belgian astronaut Frank De Winne. 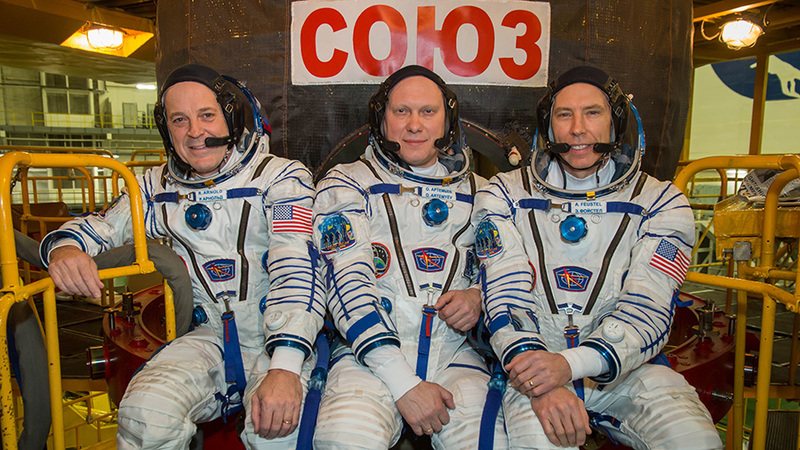 NASA TV’s live coverage of the Expedition 56 departure activities begins Thursday at 12:30 a.m. when the homebound trio says goodbye and the Soyuz hatches close at 12:55 a.m. NASA TV will come back on air at 3:30 a.m. for the undocking and then return at 6:30 a.m. for the deorbit burn and landing coverage. Expedition 56 Commander Drew Feustel (left) of NASA will hand over command of the station to German astronaut Alexander Gerst of ESA. A NASA astronaut will swap command of the International Space Station with a European Space Agency (ESA) astronaut Wednesday at 10:10 a.m. live on NASA TV. 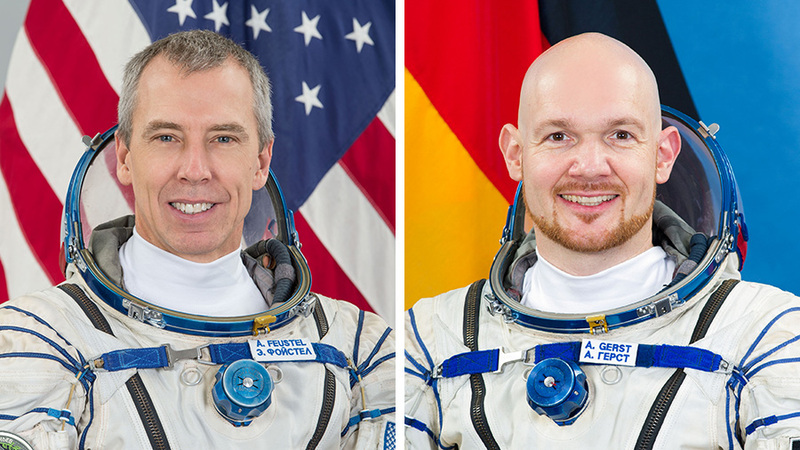 Expedition 56 Commander Drew Feustel will be handing the station “keys” over to German astronaut Alexander Gerst during the traditional change of command ceremony. Expedition 57 officially starts Thursday at 3:57 a.m. EDT when Feustel and Flight Engineer Ricky Arnold undock in the Soyuz MS-08 spacecraft commanded by cosmonaut Oleg Artemyev. Gerst, ESA’s second astronaut to command the station, is remaining onboard to lead Expedition 57 Flight Engineers Serena Auñón-Chancellor and Sergey Prokopyev. The homebound trio will parachute to a landing in Kazakhstan at 7:45 a.m. (5:45 p.m. Kazakhstan time) just two orbits after undocking and 197 days in space. Astronaut Nick Hague from NASA’s astronaut class of 2014 and veteran station cosmonaut Alexey Ovchinin will be the next crew to blast off to the space station. The duo will launch Oct. 11 from the Baikonur Cosmodrome and take a six hour ride to their new home in space. Amidst the crew departure activities today the station residents also worked space science and lab maintenance. Auñón-Chancellor worked on botany research inside the Plant Habitat located in the Columbus lab module. Gerst worked on hardware for the mobiPV study that is researching ways to increase productivity between astronauts and mission controllers. 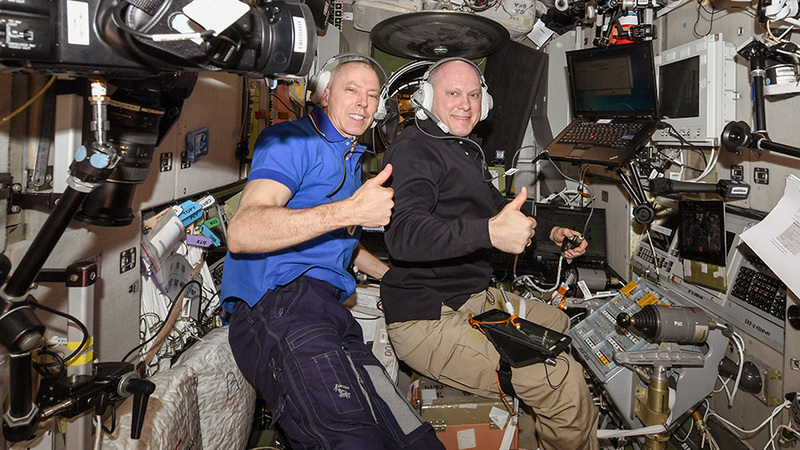 Departing astronauts Arnold and Feustel cleaned up their crew quarters.